This is just a post letting anyone who cares that I’m still writing, it’s just that the last semester has been a very hectic one. Now that winter break is here, I should have time to get back to writing again, even though Ramadan and other commitments have admittedly taken much of my free time. I thought I’d begin a new project that’s more serious than anything I’ve done so far. 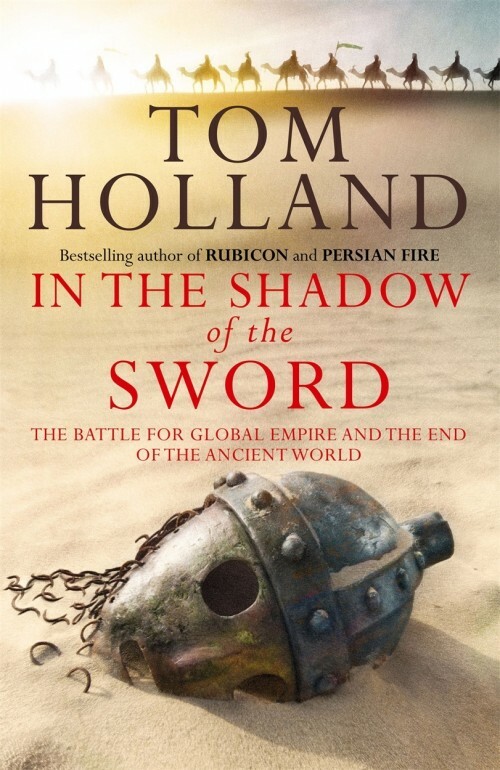 I’m going to be tackling Tom Holland’s revisionist theories on the origins of Islam. As far as I am aware, there hasn’t been any thorough rebuttals of his work (though many of his ideas are quite… imaginative to say the least). I do not intend this to be a post detailing a refutation of his book (this will come later insha’allah – and it would probably be far longer than this). What do I think about it so far? Without dwelling on the condescending tone with which Holland writes about Muslims and Muslim scholars and their (so-called) pseudo-academic attitude towards early Islamic history, I have to say that the writing style is quite engaging. I find the arguments far less agreeable. To justify his revisionism, Holland attacks his only obstacle to touting his own vision of early Islam: Hadith criticism. Muslim traditionalists and jurists, who sometimes risked their very lives for their craft, were generally dishonest and had no qualms in tacking their own rulings with isnaad chains to justify them. It seems Holland does not realize that he is asking us to believe in something more difficult to accept for the objective observer than the traditional Muslim seerah (excepting miracle stories). Here’s why: Holland asks us to trust Schacht to be right (In the Shadow p36) about Hadith. It is then somewhat problematic that Schacht’s own criterion for determining the origination date of a certain Hadith – the ‘common link method’- brings us certain Hadiths, such as the Hadith of following the Imam in prayer where the “common link” (and therefore the originator according to Schacht) is often a companion of the Prophet (ص ) or even the Prophet himself. I also want to highlight the credulity required to believe that religious scholars are generally dishonest- is there any doubt that religion is at the very least one of the primary influences in the lives of most of the early fuqahaa’? If not, why would they even need to ascribe Hadith to the Prophet, unless the society they were in saw him as a very important person? If it can be accepted that these religious scholars did see religion as an important part of their life, is there anywhere in Islam where attributing false sayings to the Prophet is justified (other than through coercion)? After all, does the Qur’an not say that to “invent about Allah untruth” is “a manifest sin” (4:50)? I also think it’s hard to believe that there was a mass-corroboration between the early Caliphate and the scholars of the law, given that many early prominent traditionalists (ie. hadith scholars) and jurists were said to be staunchly apolitical. This is from the reading of several books I’ve come across, though I will have to investigate this counter-point further before I can judge its validity. For now though, I’ll keep reading, insha’allah. Well, it does happen. There are late Christian documents forged in the names of the apostles, telling people not to trust forgeries. What does pose a problem is that the hadith you quote, if I recall correctly (forgive me if I’m wrong) is quite widely dispersed. It becomes difficult to forge. Again, it comes down to some of the implications of schacht’s argument that other scholars have frowned at.